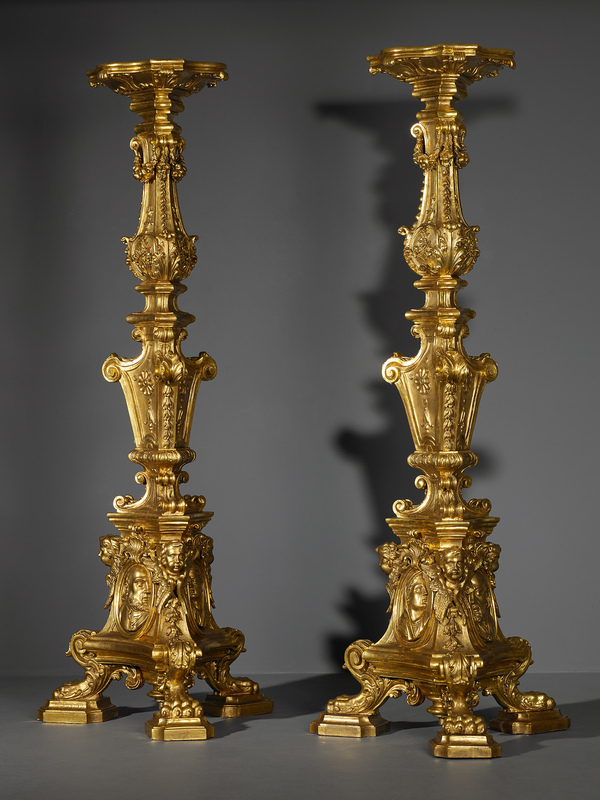 A pair of large wooden sculpted torchères. The torchères rest on three clawed feet. The triangular plinth is decorated with medallions with representations of a man, a woman, and a sacred heart. The edges of the triangular base are decorated with winged putto heads. The trunk consists of a pinnacle on a triangular vase-shaped base. The tapering pinnacle is decorated with flower and leaf motifs and hanging garlands with apples at the top. 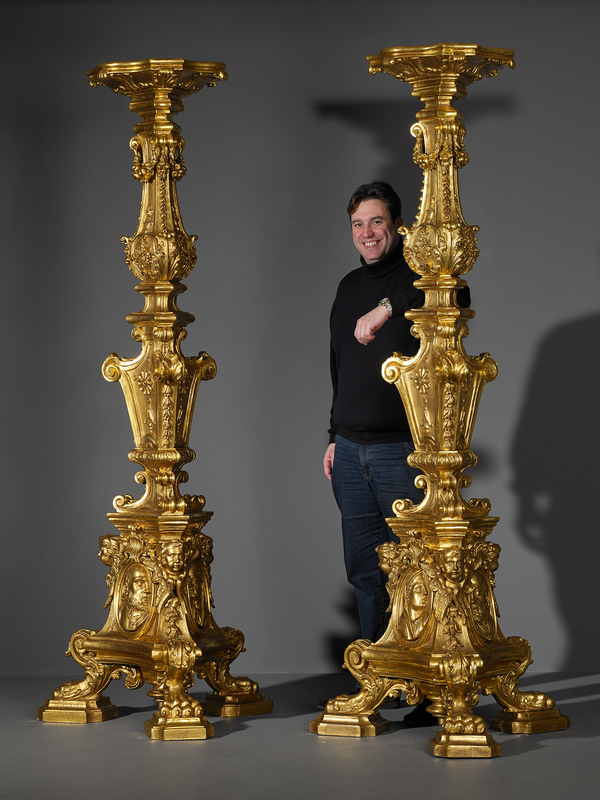 The torchères are topped with a round scalloped plateau decorated with acanthus. 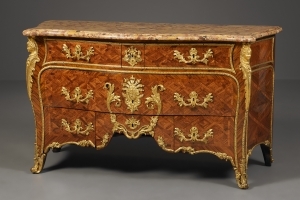 From the beginning of the reign of Louis XIV giltwood ornaments and furniture were introduced into the European interior, gaining importance over time. 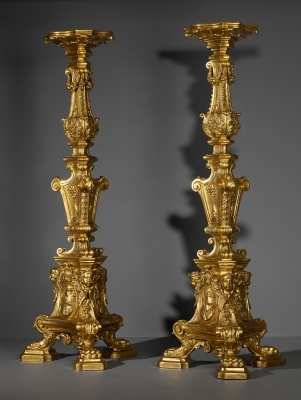 Torchères were designed to carry lighting ornaments like large candelabra. 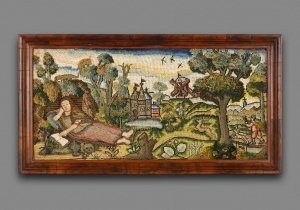 In most cases they were placed in the corners of a room or between to windows.